cGPSmapper is a program which allow to convert vector maps in file(s) of a format understandable by your Garmin GPS receiver and Garmin MapSource software. With cGPSmapper you will be able to produce maps, which works with all Garmin mapping devices. 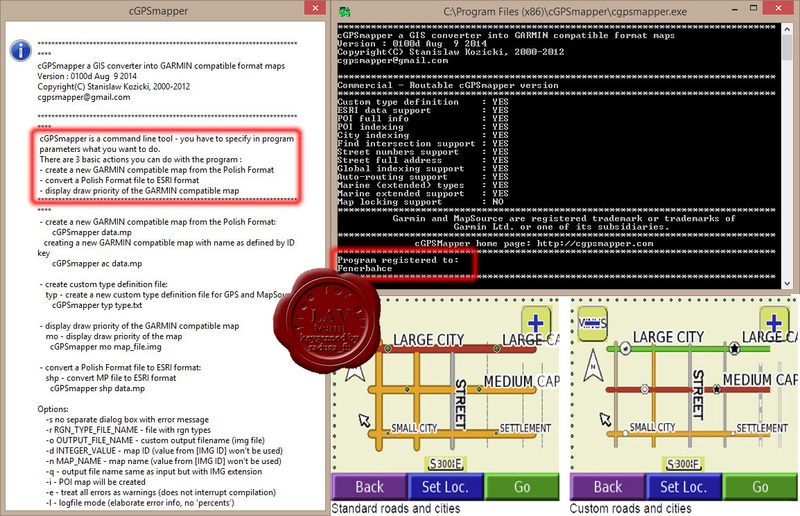 cGPSmapper can work with several different input format files - ESRI files, OziExpolorer files and easy to understand text based Polish Format files.